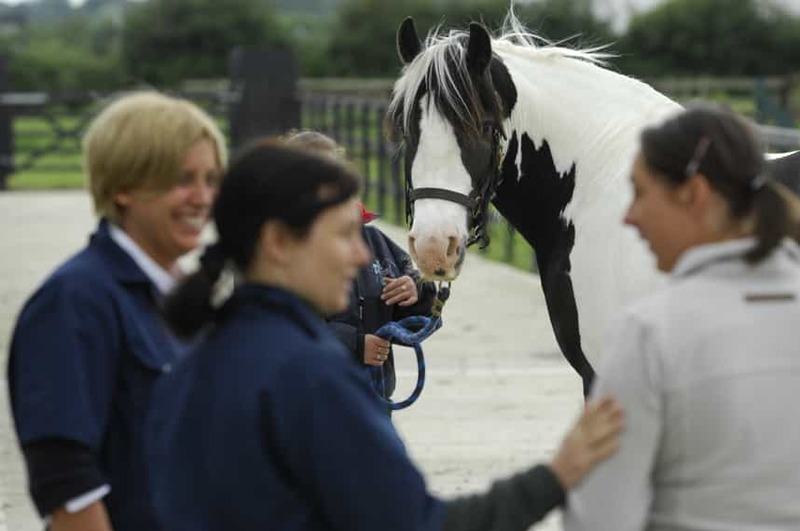 Want to become an equine vet nurse? Here's our tips on what you need to know. Becoming an equine veterinary nurse is many people's dream. Hard work of course, upsetting at times, but extremely satisfying and enjoyable. Louise Adamson is a vet nurse at Oakham Equine Hospital, in Rutland, and wouldn't want to do anything else. She started her career as a groom before training to be a small animal vet nurse and moving on to the equine side of things as soon as she could. "I got my job here covering maternity leave at first and was then lucky enough to be kept on full-time," says Louise. "After a year's experience I started training for the equine veterinary qualifications on a block release basis and this took two years, a time that I thoroughly enjoyed." Louise describes being able to care for horses when they're really not at their best as a privilege and says getting to know and supporting owners is very fulfilling. "Some horses are ill for a long time so you get to know them and their owners well. The ability to develop strong relationships and good communication are two vital skills, especially as you can be dealing with some very stressed or emotional people. "Some people may think it's not an easy career to get into, but the best advice I can give you is to keep knocking on doors. Ring round your local vets and see what's coming up. They may not have a vacancy, but might know somewhere that does." "When I started out, you had to get a job first first and then do the training at the same time," says Louise. "Now you can do it that way - via vocational training where you'll get stuck in to the job at a vet practice - or go to university and do a degree in veterinary nursing, which may not give you as much practical experience, but will open up opportunities, such as teaching or research." Once fully trained and experienced, equine vet nurses are added to the Royal College of Veterinary Surgeons' Register of Veterinary Nurses. "I work nine-to-five with one overnight on call every week and I also work one weekend in six," says Louise. PRO Seeking variety? Louise works on a rota system and after morning muck out, she's assigned to either outpatients, inpatients, theatre or imaging, so every day is varied. CON The pay's been described as 'not great' but if you're keen to be part of a professions that's a way of life, rather than just a job, Louise says the enjoyments outweighs the pay issue.